Event planners signing up for the new Day Buyer programme at CINZ MEETINGS 2019 in Auckland next month will be lunching for a good cause. The new ‘Meet, Eat and Speak’ event will be a free lunchtime experience for day buyers. 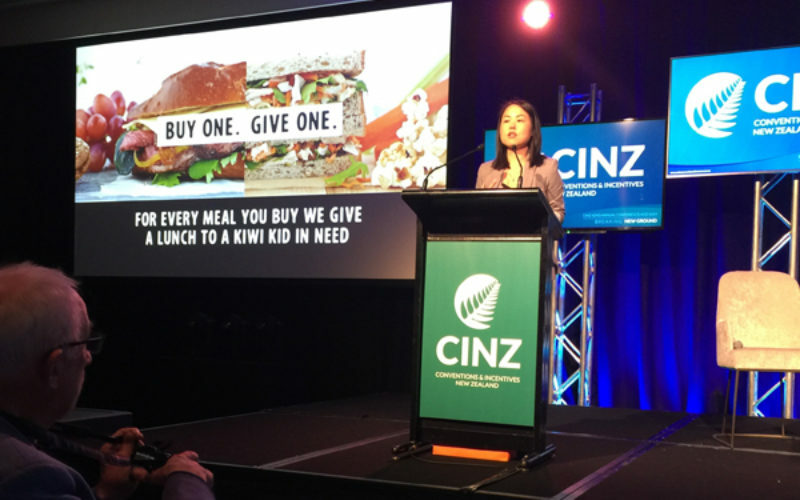 Conventions and Incentives New Zealand (CINZ) Chief Executive Sue Sullivan says for every one of the 500 lunches served to day buyers across the two days, CINZ in conjunction with social enterprise suppliers Eat My Lunch, who will donate lunch to a New Zealand child in need. “Our guests will be able to find out first-hand what an impact their lunch is having for Kiwi kids when they listen to Lisa King (pictured), the founder of Eat My Lunch who will be speaking on both days (29 and 30 May),” she says. 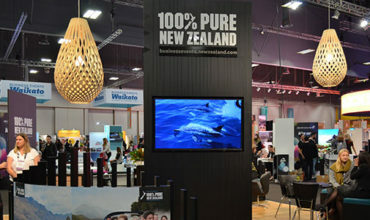 As well as Lisa King, the Celebrity Speaker Showcase this year includes Melodie Robinson, well-known sports commentator; Dr Farah Palmer, the first female board member for Rugby NZ, and community leader; Gilbert Enoka, All Blacks’ General Manager who will share insights into team culture, mental skills and leadership, and Melissa Chan-Green (nee Davies), New Zealand journalist and broadcaster. Day buyers can join the MEETINGS pre-scheduled appointment programme for either 29 or 30 May or tour the exhibition in their own time. Meet, Eat and Speak will take place at the Logan Campbell Centre.